Here at Crystal Basin Tackle & Guide Service we have always liked to fish the Wee Tad. 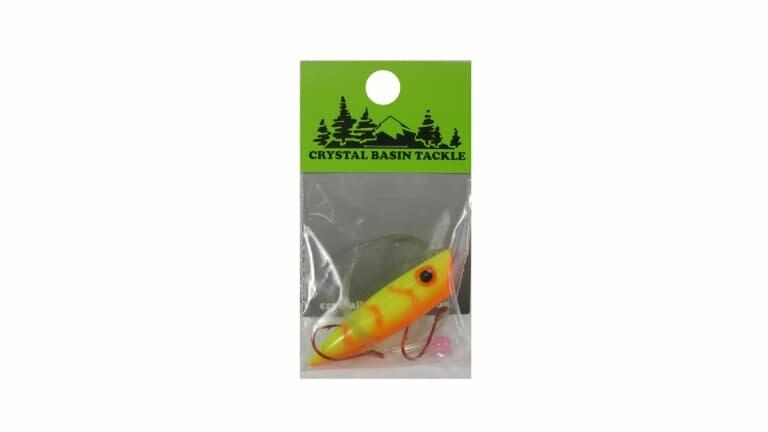 This lure is hard to find in some places, so we have worked with the folks that make the Wee Tad and are able to get the same body from them. Now we bring to you the Wee Thing. 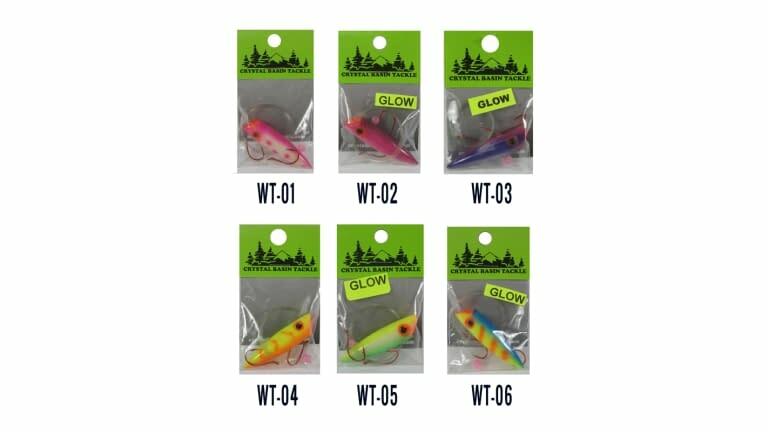 All of the colors that you see are custom painted by us and tested by our Pro Staff in tournaments and here with our Guide Service. The Wee Thing can be trolled at speeds from 1.5 to over 2.0 mph. There are 2 holes in the body of the lure to give you 2 separate rigging options and actions in the water. Test them both to see which one gives you the best results.